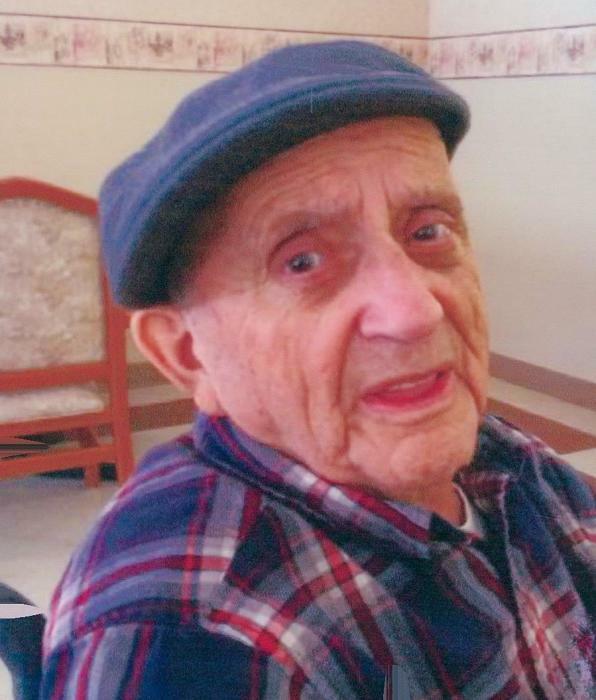 Gerard A. Ramsey Sr. of Berlin passed away peacefully on Tuesday, September 18, 2018 at Coos County Nursing Home. He was 93 years old. Born in Berlin on February 10, 1925 he was the son of Delphis and Antoinette (Roberge) Ramsey. Gerry served in the U.S. Army during WWII. Following his time served he worked at Crown Vantage as a Millwright. His greatest joy was his family. He was an avid New England sports fan. He loved traveling to the Casino’s to do some gambling. Besides his parents he was predeceased by his wife of 51 years Theresa (Nicoletti) Ramsey; brothers; William, Roland, Tony, Leo and Maurice Ramsey; his sisters Alice Coulombe and Carmel Cote; sisters-in-law Josephine Torro and Jeanette Nicoletti; brothers-in-law John Nicoletti, Donald Nicoletti and Fio Torro; mother-in-law Angelina Nicoletti and father-in-law Rocco Nicoletti. He leaves behind two sons; Gerard Ramsey Jr and wife Carolyn and Michael Ramsey Sr. and wife Diane; grandchildren, Tina (Ramsey) Demers and husband Ron, Joey Ramsey and wife Michelle, Michael Ramsey Jr and wife Angela, Angie (Ramsey) Woodside and husband Michael; great-grandchildren, Nicole Demers, Madison Woodside, Nicholas Ramsey and Allison Woodside; several nieces and nephews. A Chapel Service will be held on Friday, September 21, 2018 at 11:00am at Fleury-Patry Funeral Home, 72 High Street. Interment will follow at Holy Family Cemetery, Gorham, NH. Donations in his memory may be made to a Charity of ones choice.